NOTE: A mistake in the coding of the 'polls plus' model was noticed today - the Liberal Democrat comeback mechanism was not operating properly. 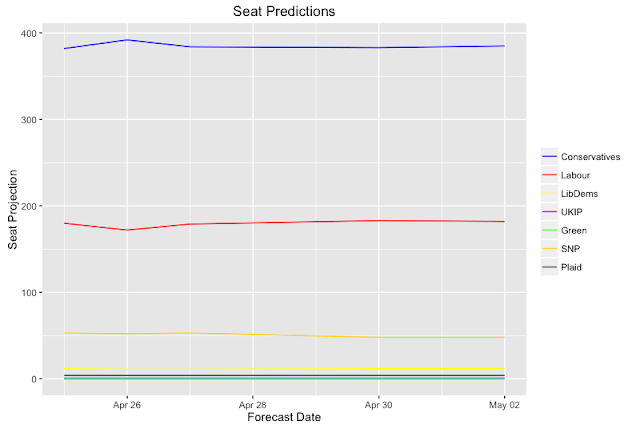 This fix moved the party up by 3 seats in today's forecast, and likely would have moved them up by a similar amount in previous ones. Today's ICM poll gives the Conservatives another near 20-point lead over their Labour counterparts, on a 10% swing from their 2015 performance. This poll moved the uniform swing model to the following: Conservatives 386, Labour 181, Lib Dems 6, UKIP 0, Greens 1, SNP 55 and Plaid 3. This result would give Theresa May's Conservatives a majority of 120 seats, well over the 100 mark that many believe she is headed for. Events today surrounding Dianne Abbott's interview woes will not likely help Labour to close this gap, it will be interesting to see how Labour's polling does after the fact - will there be a backlash against (further) perceived incompetence? Elsewhere, the Lib Dem fightback is arguably one of the non-stories of the campaign so far, at least on national polling evidence. Reading the breakdowns (which we must all do with extreme caution), there does appear to be at least some weight in the argument that the 'fight back' will be a localised affair, and not necessarily detectable in terms of uniform swings or shares. 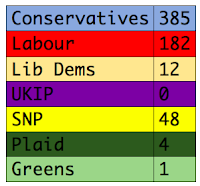 The 'polls plus' model however does attempt to account for this (re: Lib Dem comeback mechanism above). But it's probably fair to say that a rise of 4 seats on 2015's performance would not be viewed with great satisfaction by the Lib Dem faithful. 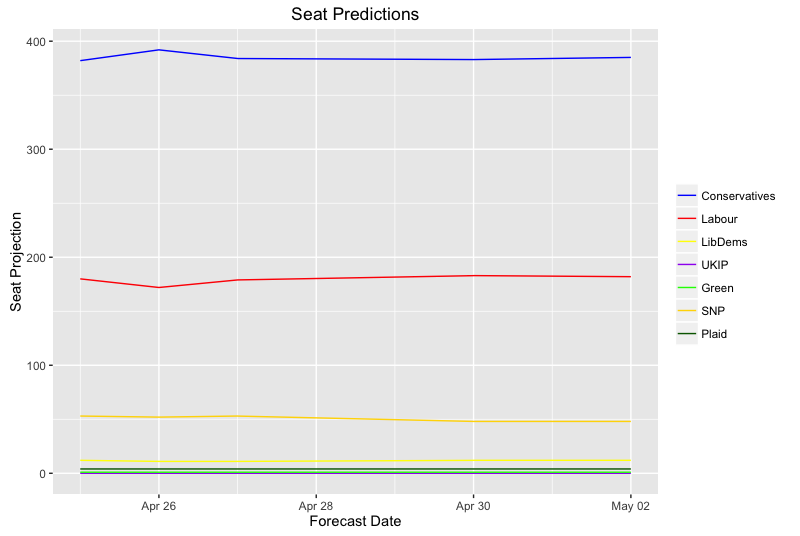 The prediction tracking graph shows a steady and sizeable lead for the Conservatives throughout the period analysed. In terms of the (new) Con-Lab margins, the model suggests that the battlegrounds have now moved further into Labour territory, with the line now between Mansfield and Dudley North. 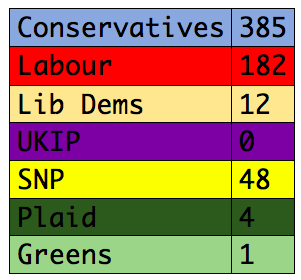 Interestingly, the prediction suggests that even the 'progressive alliance' being formed in Ealing Central and Acton (controlled for in the poll plus model) will not be enough to stem the blue tide. If seats such as Mansfield, a Labour seat since Frank Bradley Varley took it from the Liberals in 1923 and never once represented by a Conservative MP, are at an alarming risk of falling to the Conservatives, there really are few Labour MPs who should be sitting comfortably.